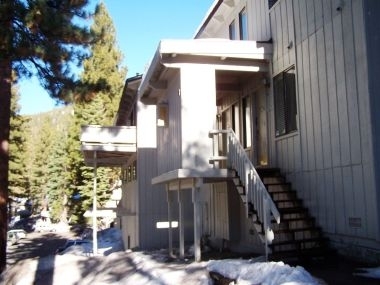 Enjoy being just minutes away from Diamond Peak Ski Resort The Hyatt Casino and the beautiful beaches of Incline Village in this inviting 3 bedroom 2 1/2 bath condo tucked away in the Mountain Shadows complex. Bring the whole family because this spacious home can sleep up to 11. The master bedroom has a queen bed & master bath, the 2nd bedroom has an oversized bunk bed with double beds on the top and bottom, in addition to a pull out trndle bed and the third bedroom has two sets of twin size bunk beds. All the bedrooms are downstairs so the upstairs is a lovely open floor plan, with a deck just off the living room with a gas barbque. This condo is just next door to another so they are perfect for renting together with another family for group vacations. The complex has a pool for more summer fun and there is a pool at Burnt Cedar beach as well! Cable coming soon, but there is a 46' flat screen TV with DVD player.